A super electrolyte and trace mineral paste(Gateway) to be fed in place of salt in the diet to Prevent Dehydration, Fight Exhaustion and Reduce Lactic Acid Build-up in the Blood Stream. Each 30cc single dose oral syringe contains:7,090mg of Sodium Chloride, 5,675mg of Potassium Chloride, 284mg of Magnesium, 284mg of Calcium, 19mg of Manganese, 17mg of Zinc, 15 mg of Iron, 3.75mg of Copper and 3.75mg of Cobalt. 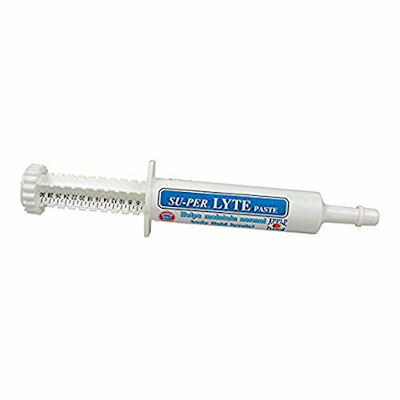 Feed or Orally Administer one tube the day before the event, one tube the day of the event and one tube the day after the event.